The following youtube video is a multi-dimensional spiritual conduit or "portal" that holds and transmits a variety of healing energies. Granted, what is offered in these videos is a huge piece of work (and a huge gift), it is still a very small and limited "sampling" of what I do. Though Spirit is aware when you are connecting to the energies and consciousness presented in the videos, and are in turn being responsive to you, all of your deeper and more complex issues unique to your soul will not get healed simply by watching and working with the videos. To get the full benefits, a longer more formal session - personally oriented towards your unique needs will be required. To commission these individual sessions, go to the payment page of my website HERE. We know how much faith and trust it takes to do healing work in the best of circumstances. If done "sight unseen" (removed from being in the healers actual physical presence) for most people that's quite an obstacle. To compensate for this, I have created a number of youtube videos (found on my youtube channel here). Beyond these videos, I offer to new clients only - one Free 10 Minute introductory "Sample" Remote (long distance) Spiritual Energetic Healing Session. This sample session (valued at $25) is my love offering to you. This (free) "Sample" session is offered at my discretion. If I feel it not appropriate to where you are at in your process, I will recommend you dive in and start the longer (not free) sessions. This sample session is a way to test how open, sensitive, ready and receptive you are to me and my energy work. Frankly, 10 minutes is an insufficient amount of time to make a significant shift in anyones energy field and conscious reality, but if you do feel or experience something in that short a time, it's likely that follow up sessions will bring greater results and quickly. If you feel nothing or very little, it usually means that the work is happening so far off your human body (beyond where your senses track) or... that much work is required to get you through and release the many layers of resistances and blockages you are holding. In any case, either response is acceptible as we are who we are and where we are at in our process. In other words, we all must start somewhere and work with what limitations we have. If you wish to take advantage of this free sample healing offer, write (in an email) what day and 10 minute time period you are available. Sessions are always scheduled to occur within -YOUR- time zone. Though Spirit already knows, for my records and to better tune in to you, please indicate your first and last name, where in the world you live and what you are seeking healing for. A photo, a link to your website or facebook page helps. Allow me a few days to email you back to schedule and confirm your session. At the appointed day and time, Spirit will transmit the energy work to you through the invisible ethers that permeate all space and transcend all time. Since the healing is experienced internally, there is nothing outwardly needed to be done or said for the work to occur. 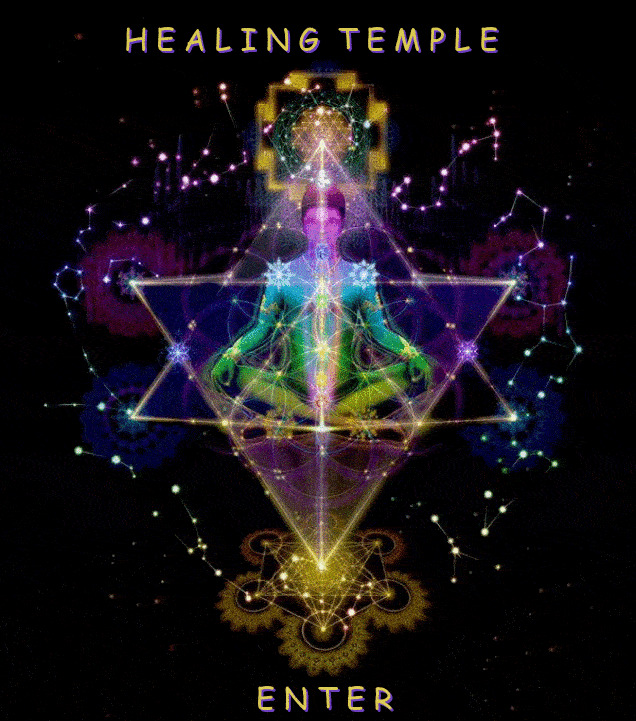 The healing happens remotely via a non verbal energetic transmission that works with but side steps the limited ego mind and all its traps and pitfalls. This means that during the session, you do not need to be online or on the phone with me. All you need do is sit or lay down, close your eyes, be present, be aware and experience. That's it. You don't even need to do any breathing exercises, chant, listen to music, light candles... none of that. However, if you wish, before the session, you may pray to Spirit asking and intending for what you want, or simply let go of trying to control the outcome and allow the work to progress and unfold as Spirit sees fit. As an expression of gratitude, any donation you care to give in return is greatly appreciated. While the session is occurring, many people want to engage the energy and do some technique or practice. The more you try to influence or control any part of your healing in even the slightest way, the less you allow Spirit to do its work. Remember, all you need do is "Let go and Let God". You don't need to figure out who in spirit is doing the work, what is being done, how it's being done, or why it's being done - you simply trust and surrender to the process as it is unfolding. If you try to figure things out or do anything you will jump out of your center and go into your head. If that happens, don't be hard on yourself - at certain stages of the healing, especially when the energy is processing stuff out of your mental and emotional body, your mind will wander all over the place and you will think all kinds of thoughts and feel all kinds of emotions. That's ok - in time and with more healing, this stuff will release and and you will be able to go deeper into your True Self. There are no complicated techniques or tricks you need learn or practice in order to receive this healing work, thus you cannot make a mistake or do it wrong. In a healing session, Spirit activates the necessary adjustments and changes in your consciousness and energy field and you simply process and integrate it (which pretty much happens automatically). That's why this method of healing is so easy - it's essentially all about allowing and receiving the Spirit of Grace - the Higher Power - to come into your life. Why some clients "apparently" receive more "Grace" in (and out of) a session and others less, is greatly determined by how open, surrendered to and aligned they are to the Divine Will and Master Plan for their life. The limiting factor here seems to be ones (fear based) small minded ego. As long as it is in control - resistant to change and attached to stuff, the more you will remain stuck and blocked. This is the nature of the human condition - to be trapped by the limitations of this physical reality... but this is why this healing work has been developed - to liberate you from resistance and be freed of your fears. Speaking of, Spirit can remove all your resistances and limitations in an instant, but if this was forced upon you against your will before you were fully and completely ready, you would not only recreate the original disorder and revert back to how you were, but you may be traumatized in the process (which kind of defeats the purpose of what we are trying to do here in the first place). So to ensure your safety, we only do as much healing work as you allow and empower us to do at each step along the way. Paying for sessions is not only an effective way to help you control the intensity and speed you wish to go through this process, but it also demonstrates to us (and to yourself) how willing you are to surrender the control your small self has over your life and "let go and let God" (Your Own Divinity) take over. This healing work is not to build up the ego mind but to diminish it so that the Divine Mind - that "still small voice within" - may come to the fore. This healing work is not an academic abstraction, not a psychic reading, nor something you can get from a book or a class. This is Divine Grace - pure, simple, mysterious, unfathomable, beyond the mind to comprehend. It is to be taken on faith, trust, and the truth of subjective experience. This free "Sample" Session is a taste of the healing energy and consciousness available here through this Source - simply a "taste", not the whole meal. If you want to receive the full benefits of all that I offer, you will have to receive many hours of the healing work (one meal may fill you up for a while, but in time you will get hungry and need to eat again). Healing is an ongoing process, a lifelong journey - there is not one final destination that can be reached in a single trip, and no one meal can fill you up for the rest of your life (but each healing will surely help move you along on your journey). To be clear, this "Sample" Session" is NOT going to heal you of all your woes and ills - such an expectation is totally unrealistic. In order to receive the full magnitude of any or all of Spirits' blessings (Grace), you must prepare by going through an intense purification process - how long and how intense this process will be depends on how many lifetimes of accumulated baggage (stuff) and negative energies (karma) you hold in your personal space. However, the most difficult problem in receiving any healing has to do with the ego-mind and its "un-willing-ness" or "resistance" to CHANGE. Depending upon how deeply rooted and in control your ego-mind (and its resistances) has upon you, will also determine how easy or difficult, short of long your healing process will be. Considering that most peoples' ego-minds have built up massive layers of resistances that span the course of lifetimes, to unravel and dismantle may take a course of healings lasting months or even years. Spirit is unlimited and all powerful, but in total respect of your Free Will, it can only do with you what you have allowed or "empowered" it to do. If (on some level) you are not really wanting to be healed, neither I nor Spirit will compel you to heal. The Great and Powerful Spirits of the Spiritual Hierarchy could of course force the healing energies upon anyone, but that would be dis-respectful and dis-honoring of the Souls' Divine Sovereignty. Besides, for you to fully receive and integrate any energies transmitted, your will and desire must be opened and aligned to it. Rarely am I guided NOT to work with someone. It happens, but more often than not, Spirit indicates that I cannot offer a particular person the free introductory session. If this comes up in your consult, chances are that you are well beyond the beginners "testing" stage on your path and are now being called to jump directly into the main body of healing work (practicing "trust" and "faith"). In any case, I will let you know where you stand in this regard. On the highest levels we are all connected to the Divine - the essence of Love... yet on the lower levels we all have an ego mind that is motivated by survival, resistance and fear. Such internal conflict is why no one is able to fully and completely heal all by themselves. In life, we play with these dichotomies of love and fear, light and dark. In order to have a healing experience (to make peace with these two extremes), Spirit provides intermediaries or "spiritual agents" who negotiate a working arrangement or "contract" between our human and divine parts... between our fears and our loves. This is my role - to lead you to that middle place where you will eventually open the door of your heart and bring in the light of your soul. If on the (slim) chance you do not sense anything happening during the free introductory session, or for that matter any of your subsequent healing sessions, it may be due to you being so shut off or resistant, not only to the work but to life itself! This is quite common (esp when first starting the healing). But if you are sincere about working through your resistances, I am sure we can get through them in subsequent sessions. It is simply a matter of continuing to receive the healing work until there is a break through and your resistances fall away. Many people have built up such massive layers of stuff around them which are, quite literally, like castle fortifications. It takes a lot of work to chip away at such walls, but in time they all fall apart and the light and life can come in. Trust that Spirit knows exactly what they are doing and are orchestrating the healing in perfect order. All you need be concerned with is to continue allowing and empowering Spirit to do their work on you. Neither I nor Spirit will ever force you to do anything your Soul is not wanting to do. Rather, we honor and respect the Life Path and Divine Agenda your own Higher Self has set out for you. We are simply here to work together with you - to help support and nurture your own intention to be more whole heartedly engaged in and committed to your healing process. This is called healing by "MUTUAL AGREEMENT". And within the context of the more advanced healing work I offer, such an "arrangement" between your spirit and mine is contractually formalized as soon as I receive your payment for sessions. The introductory "Sample" Session (a value of $25) and the healings transmitted from my youtube channel are offered free of charge. Any donations you wish to offer in return are gratefully accepted.